As one of New Orleans’ most desirable suburban communities, River Ridge, LA features beautiful real estate and a friendly, hometown atmosphere. There is lots to love about life in River Ridge, and Botsay Notary and Insurance Network is pleased to serve local residents and businesses with a wide range of services designed to make life here more convenient and worry-free. As a local company, we understand the needs of River Ridge residents, and we are here to deliver efficient, affordable solutions to your insurance, Notary Public and title transfer challenges. In fact, Botsay Notary and Insurance Network offers a wide range of services, including: personal and commercial insurance, DMV service, Notarial services and more. So, whatever brings you to us, you can be confident that our experienced and knowledgable staff is dedicated to meeting your needs and exceeding your expectations! From Jefferson Highway to Little Farms Avenue, Citrus Road to Generes Drive, wherever you are in River Ridge, LA Botsay Notary and Insurance Network is thename to know for the complete spectrum of personal and business insurance policies. We will work with you to understand your requirements, help you minimize risk and find the right insurance policy at the best rate. As an independent agency, we can shop policies from a variety of top-rate carriers, so you can rest assured that you are receiving excellent service and a great value. In addition, we also offer affordable car insurance and motorcycle insurance for River Ridge drivers. We know you want quality auto insurance at the best price, and Botsay Notary and Insurance Network is here to provide you with just that! 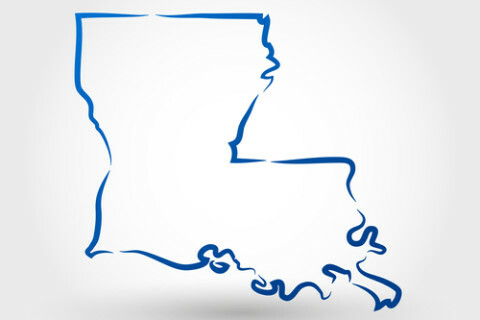 The fact that we are a Notary Public is pretty evident by our name, but did you know that Botsay Notary and Insurance Network is also a Louisiana State Authorized Public Tag Agency? That means we have the ability to meet your needs for DMV service, including; vehicle registration renewal, tag and title, title transfer and more. Why wait in a long line at the DMV, when we have everything you need right here? Of course, we are also available to provide you with Wills, Power of Attorney, Civil Law, Real Estate and other Notarial work, making us a one-stop-shop for all of your needs! With more than 3 decades in business, Botsay Notary and Insurance Network is proud to be River Ridge, LA’s trusted choice for car insurance, business insurance, DMV service and so much more. Experience the difference today, and let us put our service and expertise to work for you!